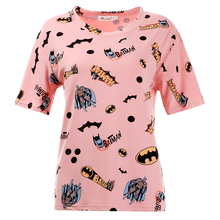 Batman T Shirts for a true fan. Got Something To Tell The World? 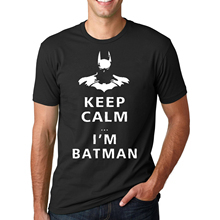 Let Your Batman T-Shirts Do It For You! You are a devoted Batman fan? 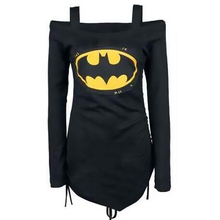 The phrase “Holy haberdashery, Batman!” make sense to you? You know how to make a bat potion? Then welcome! You can show everyone around you how much you love this brand. 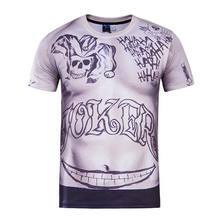 By purchasing one of our Batman series T-Shirts not only can you reveal your individuality, but you can also express your inner world with a symbol, phrase, or a picture on your clothes. Find your own way to express your feelings and thoughts. 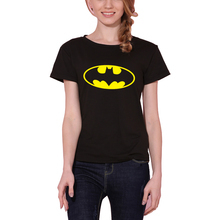 Our online shop is glad to offer you a great variety of Batman series T-Shirts – both for men and women, of different colors. We have bright and colorful T-Shirts to wear during hot sunny days or to express your cheerful spirit. We also have black ones – for those with more serious and harsh nature. Choose the one you like most. 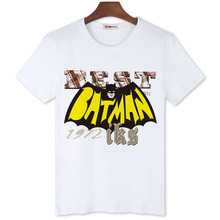 The T-Shirts our store offers are painted with Batman symbols and badges, thrilling screen shots of epic scenes from the movies, and funny slogans that will reveal your ironic attitude. 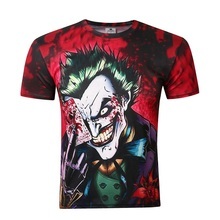 Numerous detailed pictures of the products will allow you to take a good look at the T-Shirts you like so that you can make the right choice. By using our handy size chart you will easily find your ideal size. 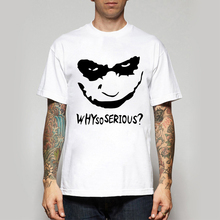 Not only that, if you are having trouble here, you can contact us to order a special size T-Shirt. We are glad to please each of our customers. Our shop stocks a great number of clothes, so you will never face an “out of stock” problem here. We can offer you a safe payment method so you won’t have to worry about losing your money. We also do our best to insure that your order is delivered as fast as possible. 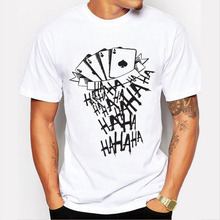 We guarantee a full refund if you don’t like the delivered T-Shirt or if you do not get what you wanted. 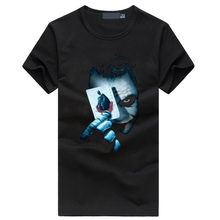 Purchase a fine Batman series T-Shirt to express your personality, to communicate with other Batman fans without saying a single word. If you have something to tell the world, let your T-Shirt do it for you!